How to plug holes in the concrete floor? 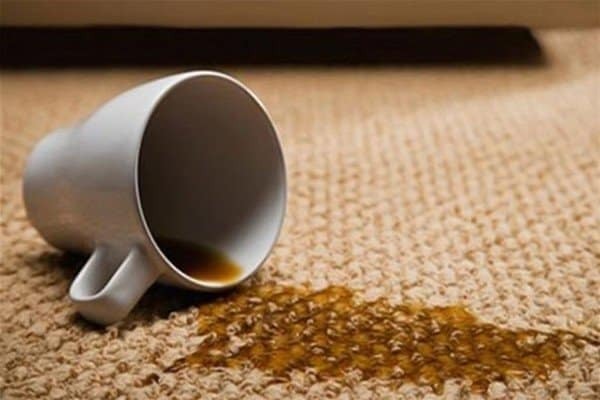 3 How to remove tea from carpets and other surfaces? Many people in the mornings prefer not coffee at all - tea is very popular, both in Russia and in other countries. Unfortunately, in addition to the refined taste and aroma, this drink can bring less pleasant things, such as tea stains on clothes, which are very difficult to remove without knowing the special rules. Due to the fact that it is quite difficult to wash brown dirt, many people do not even try to learn how to remove the stain from tea, but immediately parted with the spoiled thing, and absolutely nothing! If you often find yourself in an unpleasant situation, when the drink spills on your things, or just now have a problem, this guide on how to remove the stain of tea on white and color will help you cope with the trouble. You only need to try one or more tips on how to wash the tea in order to return your clothes to purity. The first thing that needs to be done before wiping tea stains away is to soak up the contamination with a cotton swab or napkin in order to remove the remnants of the drink from the clothes. If you are not interested in how to remove tea stains from clothes with traditional recipes, the best option for you is a special tool (stain remover), which you can buy at any household chemicals store. As a rule, good stain removers are quite expensive, so buying them for the sake of removing a couple of stains is impractical, and not every person will agree to buy in reserve. For this reason it will be helpful for you to consider some of the best and most effective ways to wash tea from clothes with minimal expenditure of their funds. Bleaching powder. This method of how to wash stains from tea on clothes is highly efficient, especially when it comes to white clothes. Do not try to use bleach with colored things, as well as jeans - you can immediately part with such clothes after processing. If everything is normal, dilute a small amount of bleach in water (the ratio is usually shown on the package with bleach), then soak the clothes in a solution. Tea stains will definitely disappear. Glycerol. How to remove stains from tea, if you do not have a special bleach on hand? The light did not come together on the bleach, so you can use a mixture of glycerol and ammonia. These substances should be mixed in small quantities, and then carefully applied to the stain. Before you wash the tea stains with such a tool, check the tissue's response in a small area - drop it with a tool in the armpits or groin area (if there are trousers). If everything is fine, you can use it. This method of how to wash tea from white things is great for both natural fabrics and synthetics. Lemon acid. You do not know how to wash tea without the use of special ingredients that you need to specifically look for? Surely in your household there is citric acid, which can also be replaced by lemon. For efficiency, mix two parts of citric acid with one part of oxalic acid, soak the cotton swab with the resulting solution and wipe the tea stains with it. To enhance the effect of the tool, before removing the tea stain, add ammonia to the cooked product. Borax How to remove tea stains from clothes as quickly and without a trace? There is an excellent tool - borax. To remove contaminants, it is enough to use a pharmaceutical 10% solution. Before removing the stains of tea, moisten several cotton swabs in the storm, and then treat the stain with clothes. You may have to repeat the procedure several times to achieve the desired effect. Warm glycerin. How to wash tea stains on delicate clothes? Many recipes will not work, as they can only harm, but heated glycerin can gently remove all stains of tea. Soak a soft cloth in warm glycerin and apply it to the contamination. Hold for 20 minutes, then remove and send the clothes to the washing machine drum. Tea stains are guaranteed to disappear. Hydrogen peroxide. You do not know how to remove the stain of tea on white? There is an excellent tool that can be found in any first aid kit - hydrogen peroxide. It is very easy to use - soak a cotton swab in peroxide, then apply it to dirt from a sweet drink. When the 15-20 minutes have passed, remove the tampons, wipe the clothes and wash them in the washing machine with the addition of powder. Lactic acid. 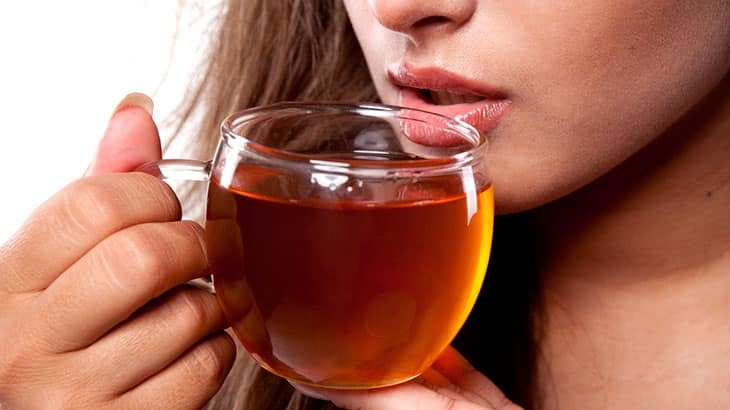 People who are interested in how to remove stains from tea, do not believe that lactic acid is able to gently remove contamination from delicate fabrics, and it is in vain. Before washing the stain of tea, dilute some lactic acid in distilled water, soak a cloth in the solution and apply it to the stain for only 15-20 minutes. When the time comes, clothes must be washed in a typewriter. These seven ways to wash away the stain of tea you should try first if your clothes suddenly appear brown stains from a sweet drink. Of course, there are other tips than to wash the tea with white and color, which you can also use. If you are going to experiment with recipes, do not forget to check the reaction of the fabric before you wash the stain of tea on a white or colored item. How to remove tea from carpets and other surfaces? Add glycerin spoons to 2 cold water, mix thoroughly and treat furniture or carpet with a prepared solution using a rag. If necessary, repeat processing until the result. How can you remove the stain of tea in addition to glycerin? If there is no stain remover on hand, you can use a mixture of oxalic and lactic or citric acids. The prepared mixture should be treated with a stain from the edges to the center (in order not to rub the pollution on an even larger area), allow it to absorb, then rinse the surface with water. How to remove stains from tea from carpets and furniture in other ways? You can use any of the above recipes to remove dirt; they are all great for any surface. Do not forget to be careful when working with bleach - do not allow the product to get into the eyes and on the skin. Apply your knowledge of how to wipe away tea stains so that your clothes, furniture and carpets easily tolerate ingestion of a sugary drink, and try to be more careful when it comes to tea. Thank you very much for the advice, I was at work recently, before that I got a shirt on my first salary and, like the law of meanness, came to the workplace, received many compliments and literally jinxed because of what I shed coffee on the shirt that day . Thanks to your advice, really helped, I just live alone. Your ways are now always at hand, thank you. 5 stars.